18 is a selection of short stories from some of Australia’s new and emerging Speculative Fiction authors. In the interests of full disclosure, I note that I am one of the contributing authors. The Bad Stuff: As with any collection of stories from various authors, the stories and the writing styles vary greatly. The stories are from new and emerging authors at different levels in there writing journey and there are going to be some stories you will like, and some you do not. The Good Stuff: There is a great collection of short stories in this book, with something for everyone who reads Spec Fiction. Considering the e-book is available for free, it is a bargain. If you are looking for a series of short stories to occupy you on the ride to work, this book will give you a few to choose from. Fantastic value, a selection of short stories ranging from quirky to downright scary (I’m not just saying that because I am one of the authors, I actually believe it’s true). I give it 4 out of 5 golden bookmarks. Book Review: On Writing by Stephen King. On Writing is half a tutorial on how to be a successful writer and half auto-biography of Mr Kings life. The Bad Stuff: For me, this book was so highly recommended, that my expectations were huge and I ended up being a little disappointed. I did not agree with all of Mr King’s opinions and I sometimes struggle with his writing style, though evidently he is a great author and has a lot to teach. The Good Stuff: There are some nuggets of information in this book that will help any author. Mr King shares his knowledge of successful techniques with us, as well as his personal experiences both in writing and his private life. I enjoyed the auto-biography part of this book more than anything else, it was very interesting. I was expecting more from the ‘writer’s guide’ section of the book though. Don’t get me wrong, there is some very good info in this book, but I had heard a lot about it and I guess it’s kind of like when you are told how great a movie is and you go in with really high expectations, then you feel a little let down. I think I would have appreciated it a whole lot more if I had no expectations of what I would find between the pages. I’m giving it 3 out of 5 golden bookmarks. The Sword of Shannara is an epic fantasy novel about a vale man torn from his normal life and thrown into a quest to retrieve the Sword of Shannara and destroy the Dark Lord to save the world as he knows it. The Bad Stuff: This book has some stark similarities to Tolkien’s Lord of the Rings. There is a Dark Lord, black wraiths, small vale men, elves, a strange wizard that disappears on other errands and a crazy gnome who has a magical item. This really irked me. There is also some repetition, overuse of words and a writing style that tells rather than shows. The good stuff: The storyline is good and would be enjoyable for those who have not read the lord of the rings trilogy, or those that will not be bothered by the similarities. In my opinion, this is a good fantasy novel, let down by the fact that it is so similar to another authors work and yet, not quite as good. For this reason I’m only giving it 2 out of 5 golden bookmarks. Book Review: The High Lord by Trudi Canavan. The High Lord is the third book in Trudi Canavan’s Black Magician Trilogy. It carries on the journey of Sonea as she continues to learn the art of magic. In this final instalment, Sonea and Akkarin have been exiled from Kyralia for the use of Black Magic. The Bad Stuff: As always, I struggle with the internal monologue and it’s use to lead the reader. There are some obvious plot twists that could have been presented more subtly. The Good Stuff: This is set in a well defined world, with familiar characters whose stories have been followed through the previous two books. The story flows smoothly and brings a conclusion to the series. On the whole this was a great end to the Black Magician series. I enjoyed all three books and so far, have found this title to be my favourite of Trudi’s books. I give this one 4 out of 5 golden bookmarks. Techniques of the Selling Writer, as the name suggests, is written for writers who want to be published. It will provide you with the best tried and tested techniques for selling your work. The Bad Stuff: To be honest, there is nothing bad about this book in my mind. The Good Stuff: This book is packed with useful information for new writers and those longer term, yet to be established writers. I found this to be a very good and informative book. I would recommend it to any writers starting out or trying to develop their skills further. In fact, I would go as far as saying that this is one of the books on my ‘must have’ list. I give it 4 out of 5 golden bookmarks. Book Review: The Magicians’ Guild by Trudi Canavan. The Magicians’ Guild is basically a story about Sonea, a girl with innate magical abilities that appear when she throws a stone at a magician of the guild in anger. On realising she has magical power the guild search to find her before her magic consumes her, but she thinks they want punish her for throwing the stone and so is in hiding. The Bad Stuff: Trudi Canavan tends to use a lot of internal thought to convey what she wants the reader to know or think, this irritated me a little. Some of the story was a little predictable. The Good Stuff: I liked the different characters and cultures within this story. The world is also well established. On the whole, this was a very enjoyable book, Trudy Canavan has created a solid fantasy world with interesting characters that will carry you through the story and leave you wanting more. I give this one 4 out of 5 golden bookmarks. 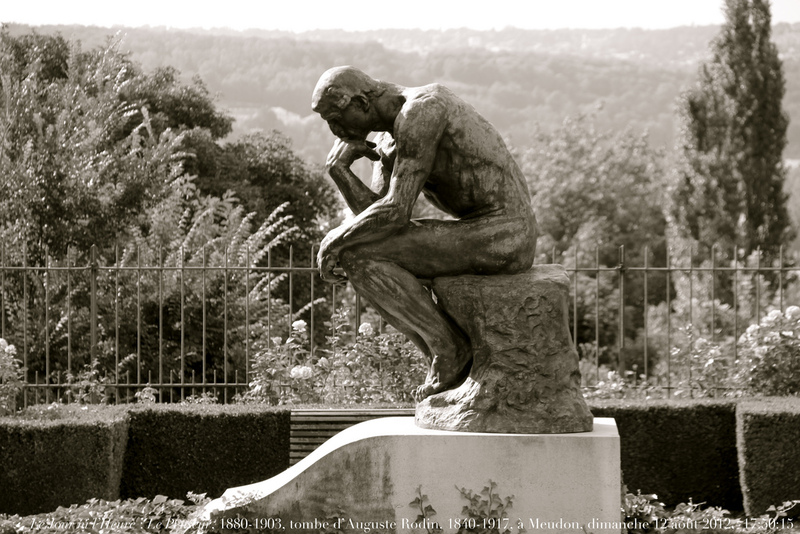 Feeding Your Thoughts – Do You Believe You’ll Ever Write A Best Seller? Part 2 of my trip to Melbourne. On my trip to Melbourne, there were 2 main events. The first was a treasure hunt exercise that I discussed in part 1 of this blog post, the second was a session on ‘Resilience’. Resilience is how well we stand up against adversity, it is the ability to keep going against the pressure. The session talked about ‘learned helplessness’. I interpreted this as the belief that you can’t do something, based on past learning. ie. your parents told you that ‘you’ll never run a 4 minute mile, it just can’t be done,’ or maybe you already tried to run a 4 minute mile and you couldn’t do it. I learned an interesting acronym around this discussion: FEAR = False Expectations Appearing Real. People react to challenges in learned patterns. We rarely consider or analyse these patterns. They can be changed and improved. Book Review – Writing Fiction for Dummies. Writing fiction for dummies is a guide for writers the covers of on pretty much everything you need to know about writing. The Bad Stuff: There is a fair bit of repetition in this book. The Good Stuff: This book has a heap of useful information for writers that are beginning their journey. Even intermediate writers will get a lot from this book. On the whole this is a very informative read, it covers off on pretty much everything. If you are just starting out as a writer and looking for a book with info on writing techniques, planning, editing and publishing, this would be a good choice. It gets 4 out of 5 golden bookmarks from me. Feeding Your Thoughts – You Can Only Fail If You Stop Trying. Last week I had to make a work trip to Melbourne for a 2 day training session. While it might sound great to travel, all expenses paid by your employer, it really isn’t that glamorous. It usually requires getting up at ‘stupid o’clock’ in the morning, you know, that time when even the roosters are sleeping, making your way to the airport, sitting on a 2 hour flight next to someone who keeps elbowing you as they read their newspaper or wants to spend the flight talking about their infatuation with tractors. Then having to jump in a cab to the venue, spend the whole day in a classroom, rush to the hotel to check-in, drop off your bags, meet up with the rest of the team for dinner and a chat, get back to the hotel about 11pm, fall into bed, get up at 7am for the second day, pack your stuff because you can’t come back to the room, spend another day in the classroom, rush to the airport for another 2 hour flight getting elbowed, jump in a cab home and exhale… Not my idea of fun. The point, as you may have gathered, was to see how you cope under stress, but not only that, it was also to see if you could take the time to get the right information in that environment. Needless to say, at the game, we failed miserably. As people though, I think we excelled. Everyone that was present participated to the best of their ability. We all reflected on what went wrong and what we need to work on to improve. We all took ownership of our downfalls and took the opportunity to learn from our mistakes. So, what did I take from the experience? I learnt a couple of things in this session. That we should get as much information as we can and make a plan, before we embark on any new venture. Even if we are under pressure. As it turned out, that had we forfeited a few turns, we would have received information that would have saved us time, made us more money in the game and seen us make it across the finish line (we ended up dying in a desert and being eaten by vultures). That we need to Identify our mistakes, accept them and use them to improve. These learnings apply to all areas of life and, of particular interest to me, I can apply them to my writing. I believe that experience comes from trying, and you can only fail, if you stop trying. Book Review: Fire & Flight by Wendi & Richard Pini. Book 1 in the Complete Elfquest series, follows the story of Cutter and his clan of elves after they are burnt out of their forest home by humans. The Bad stuff: In my humble opinion, there ain’t no bad stuff in this little Gem. The Good stuff: Elfquest covers the issues of race hate, mateship, family bonds, love and overcoming adversity using characters such as Elves, Trolls and Humans in a beautifully illustrated graphic novel. It will transition you through a variety of emotional experiences as it deals with conflicting views while trying to give readers an insight into the reasons behind them. What can I say? I love Elfquest. It is one the first graphic novel series I ever read. I read this series when I was in my mid teens and I enjoyed it immensely. So much so that as an adult, I read it to my 3 daughters every night when they were little. Guess what, they loved it too. I give it 4 out of 5 golden bookmarks.